At the end of last year I decided that in 2014 I would become more healthy. While I would like to lose a couple of pounds, that was not the reason for why I made this decision, it was because I felt that our Family could eat Healthier and that I could become more active. I sit at my computer or desk a lot of the day. When I was working outside the home I was on my feet much more. Running to meetings etc. Ever since I started working from home I have noticed that my activity level has become almost non existent. In the summer when my son is off from school, we as a family are more active. In the winter I sit at my desk, work and hibernate. Who wants to go out in the cold. This morning with wind chill the temperature outside was -30 Celsius. I am not walking to drop off or pick up my son from school when it is this cold, nor am I walking the dog in these temperatures. What have I started for this upcoming year to be more healthy? Well I am tracking what I eat more closely, and I am tracking my activity. 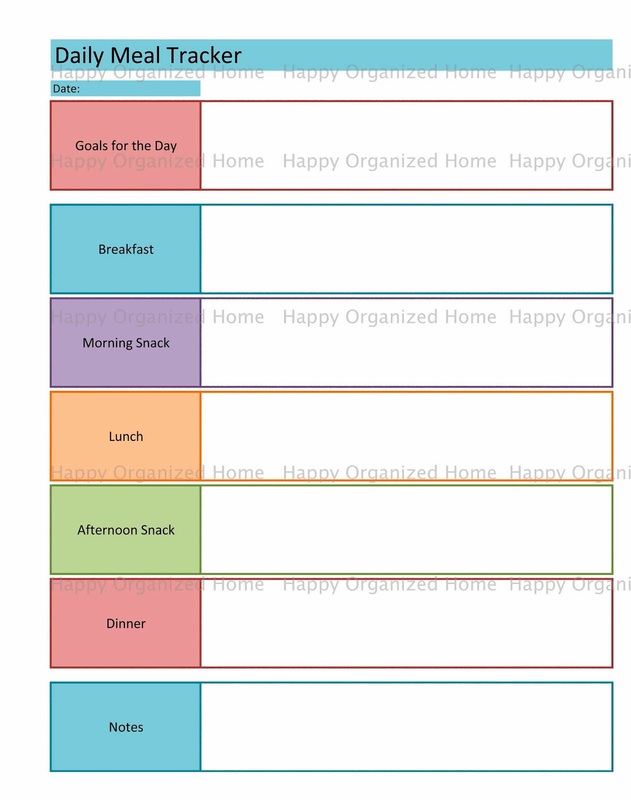 To help organize myself I created some tracking sheets so that I can plan ahead, track what I am eating and track how active I have been. I know there are a ton of apps out there to track your progress etc, but for me to see it on paper helps me feel more in control. I don't like typing my progress into a spreadsheet, or into an app, I want to write it down on paper with my trusty pen. This may not be the best approach for some people, but for me this will help keep me on track. There are many different apps out there to track your calories and they do work well, but for me I need to see it on paper. After I eat each meal, I write down the calorie count, the fat, Protein and fiber. This helps me keep an eye on how much I have eaten that day. I will be honest. I do not like working out AT ALL. I will never join a gym and I will never ever just work out because it's fun. I work out because I should work out. 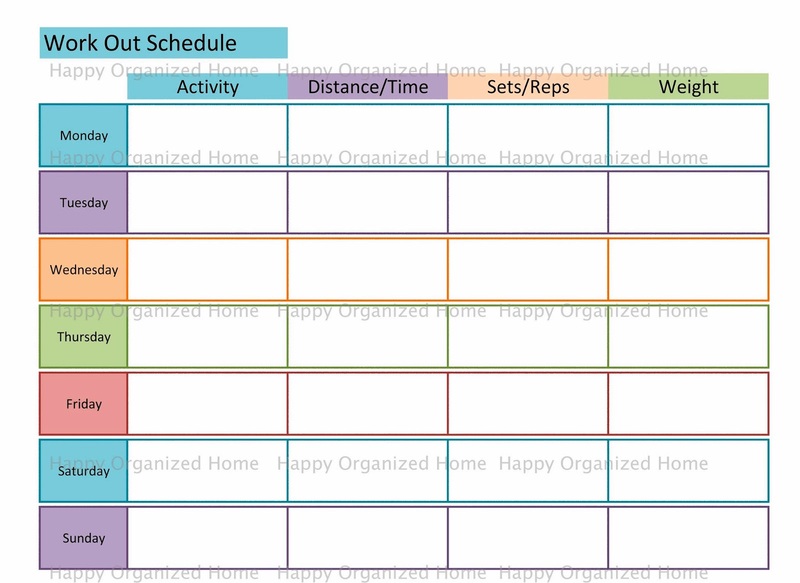 Since I am not going to be doing the conventional working out like most, I am tracking what activities I completed that week, the reps/sets or the distance/time. This way I can see what is working and what is not working. What I enjoyed and what I did not enjoy. I plan on using things like Just Dance or Dance Central to dance myself to a healthier, thinner me. Last but not least, I am tracking my progress. 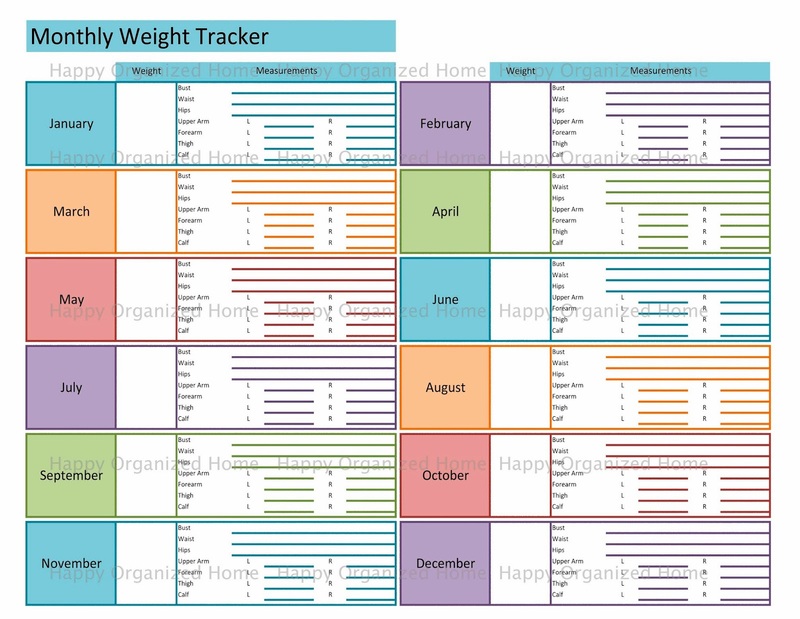 I want to make sure I am losing inches and weight, so I will be tracking both. Some will only be interested in the weight, but I also want to make sure that I am losing inches. This tracker allows me to keep an eye on my weight as well as those inches which are just going to melt off of me. A girl can dream right? 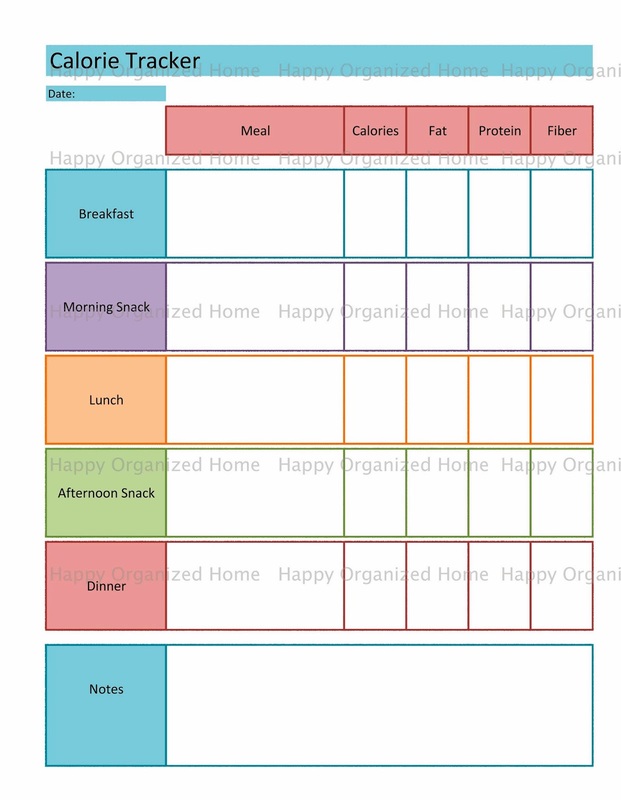 I have added a package to my Etsy Shop which includes a lot of printable documents to help organize your health and fitness as well as your daily life. 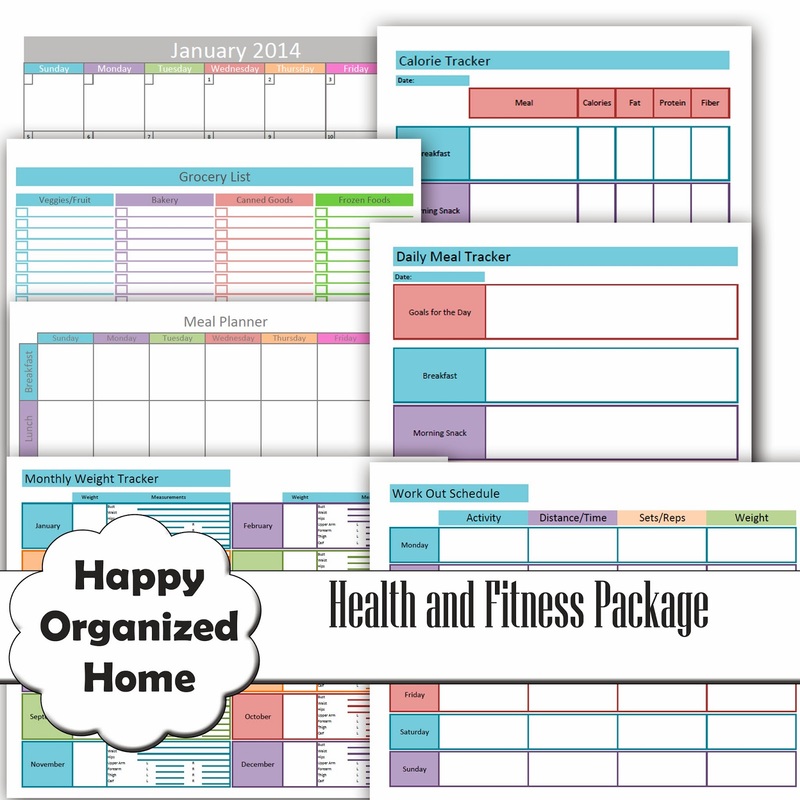 You will receive the 4 fitness documents as well as a 2014 calendar, a family meal planner and a Grocery List. This package will help jump start your healthy Lifestyle as well as Organizing your day to day living. Thank you for taking a moment to comment! Although I absolutely appreciate, consider and read each and every comment, I will remove any comment that I believe to be inappropriate, malicious or spam like. Meal Plan Monday - January 27 to February 2nd. We bought a Couch! Or is it a Sofa? Oh For The Love of Basements.